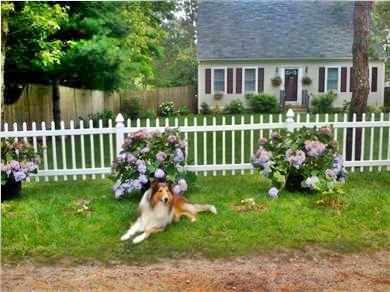 Cape House Steps to the Beach in Falmouth & Pet Friendly! Steps to the Beach in Falmouth! King Master Bedroom 19' x 14' on 2nd floor. This new Cape house built in 2003 has 1650 square feet of an open floor plan with hardwood floors - great for entertaining with a 23' x 12' kitchen. This 3 bedroom, 2 bath home is newly furnished with top of the line mattresses and is decorated in a peaceful contemporary style. The yard is fenced in for small children and pets with a deck & gas grill. 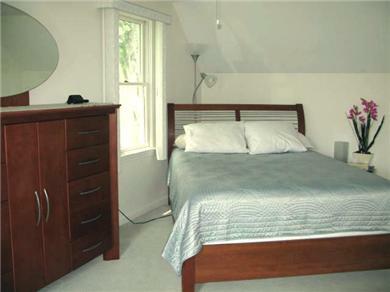 It has 2 large master bedrooms 19' x 14' on the second floor with wall to wall carpeting. 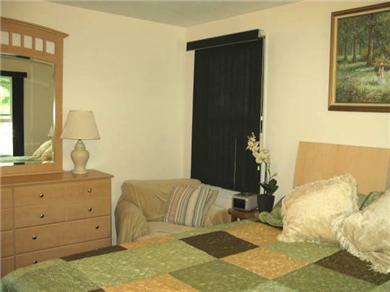 The 3rd bedroom is on the first floor across from bathroom with a washer & dryer. 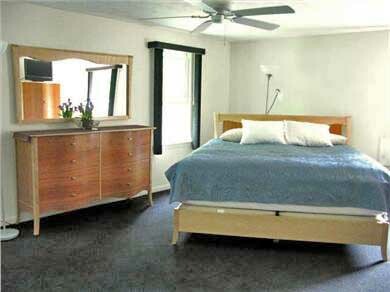 The house has wireless internet access, DVD, VCR, stereo & digital cable with digital music choice. You will be staying 500 feet from the water. A private association beach is just 3 blocks away. This house is perfect for your kayaks, canoes, or even your boat since it is located on Seacoast Shores, a deep water peninsula with a clear sailing to Nantucket Sound and the islands! The public boat launch is a few streets away. Walk to your choice of two FREE beaches. Bring your boat & kayaks or just rent a kayak at Edward's Boatyard (up the street) and explore the inlets of Washburn Island in Waquoit Bay. 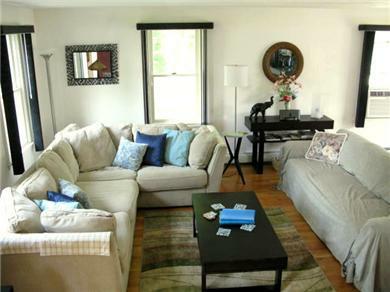 Shop in nearby Mashpee Commons or downtown Falmouth just 10 minutes away. 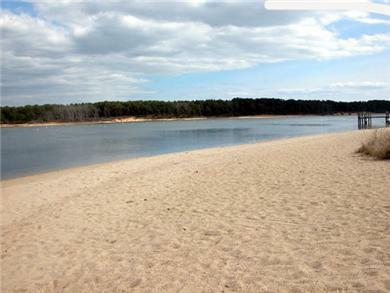 Close to New Seabury and all the local beaches. Take the ferry from Hyannis to Nantucket or from Falmouth to Martha's Vineyard. Bike the many trails the Cape has to offer. Explore the 12 miles of public beaches, a 68-mile coastline and 9 harbors which make this a perfect place for boating and fishing. 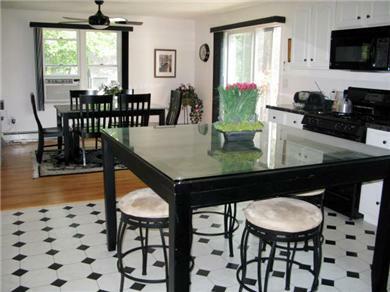 Long-Term Rental (1 month or more): Winter months available November 1- March 31 $3,500 monthly. Additional pricing info: Pet Fee $150 & Cleaning: $100, State and local taxes of 12.45% will apply.